Ghosn is less well paid than some of his global peers but his compensation has been a matter of controversy in France. PARIS -- An internal investigation by Renault found that CEO Carlos Ghosn’s compensation at the French automaker was legal, leading the board to keep him at the helm despite facing charges in Japan for financial crimes. A preliminary review of the years between 2015 and 2018 found the jailed executive’s pay adhered to French law and industry recommendations, Renault said in a statement after the company's board met on Thursday. The board doesn’t "have information concerning Carlos Ghosn’s defense," Renault said. Renault's interim chairman Philippe Lagayette said the board did not consider replacing Ghosn. He also refuted reports that there were differences within the board of directors. The board "has not considered the potential succession of Mr Carlos Ghosn," Renault said. However sources said some directors led by Cherie Blair, wife of the British former prime minister Tony Blair, expressed impatience with that position. "What she said, in effect, was that we can't remain in this situation forever," one source said of Blair. "At some point you need to move forward and move on." French officials have already begun listing possible candidates to replace Ghosn as CEO, three sources close to the company said. Senior Toyota executive Didier Leroy will be considered, one said. "There's nothing official yet but the government is working on a lineup," he said. "They're ready to turn the page." Renault’s probe into the pay package of Ghosn was a response to the executive’s shock arrest and incarceration on Nov. 19 in Tokyo for under-reporting compensation at partner Nissan. Its initial findings mean his position at the top of Renault remains in limbo after the carmaker put in place an interim chairman and CEO but did not remove him. Ghosn was ousted at Nissan and Mitsubishi Motors, the third partner in their globe-spanning alliance. Ghosn’s reported compensation totaled about $15 million annually, on average, during the five-year period through 2015 that has been investigated in Japan. That total includes what he was paid by Nissan and Renault. He and Nissan’s indictment was for understating Ghosn’s income by $43 million, as Tokyo prosecutors pushed ahead with the criminal investigation that has shaken the global auto industry. While he’s less well paid than some of his global peers, Ghosn’s compensation has been a matter of controversy in France, where there is significant oversight of executive pay. In June, investors narrowly approved his package for 2017, despite opposition from the French government, Renault’s most important shareholder. Renault's statement, issued after a five-hour board meeting, did little to resolve the standoff with alliance partner Nissan, which accused Ghosn of far-reaching financial misconduct as it dismissed him as chairman last month. 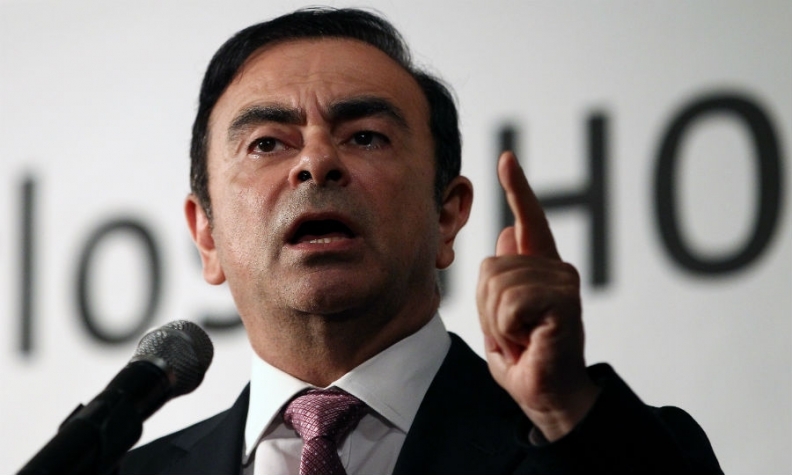 The boardroom crisis has shaken the Renault-Nissan-Mitsubishi alliance, with Nissan CEO Hiroto Saikawa calling for changes to weaken the French parent's control. Renault's statement, issued after a five-hour board meeting, did little to resolve the standoff with Nissan, which dismissed him as chairman last month. Nissan has said its internal whistleblower investigation also uncovered personal use of company funds and other misconduct, the subject of the 400-page report shared with Renault lawyers this week. The Renault board also asked company lawyers to continue examining the dossier.